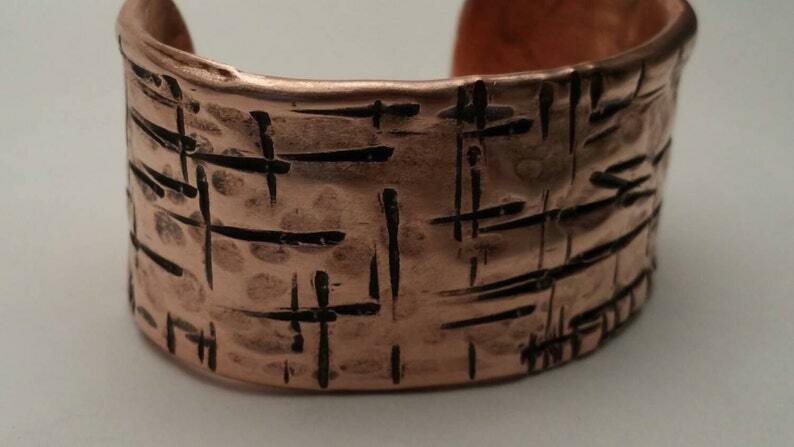 Rustic hammered, handmade copper cuff bracelet for men or women. 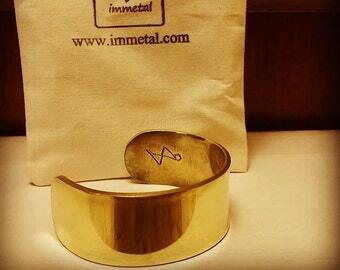 The pattern for this cuff came about from playing with patterns and hammer blows. I am always experimenting on my jewelry and I wanted something different than what I normally design. This would be one of those pieces that came about by chance but it is a very striking (pun intended) pattern. I can think of many styles this would work with, however I am going to leave that up to the purchaser. Thank you for looking and please browse through my other items.